Mr. Struck formed Investors Realty Asset Management in 1993 to provide asset management, investment banking, and capital markets consulting services to participants in the real estate and mortgage sectors. Mr. Struck has a uniquely broad background and in-depth experience in real estate and mortgage asset management. He created an investment and asset management program for PMI Mortgage Insurance in San Francisco, a subsidiary of Sears/Allstate. The program mitigated the risk exposure of residential real estate and enabled him to form the first publicly registered mortgage conduit securities issuance in the nation. He also established programs to administer public mortgage-revenue bonds issuances, obtaining over 30 appointments as administrator for over $1 billion in bonds in the first year. He served as a senior investment banker with Merrill Lynch in New York City, where he provided asset management and corporate finance services to top corporations engaged in the real estate and mortgage sectors. He was a key organizer of their mortgage capital markets division and the architect of their "builder bond" program and “collateralized mortgage obligation” concept. At FCA/American Savings Bank, he orchestrated the funding on Wall Street to offset the largest “run on a bank” in the history of the U.S. He managed the $15 billion MBS and derivative portfolio and extensively utilized the futures/options markets to hedge risks. He consummated the largest mortgage secondary marketing transactions on record at the time. He formed and served as CEO of real estate financial subsidiaries and divisions. He arranged financing for a wide range of real estate types, real estate projects, and mortgage portfolios. He played a key role in the management of the bank’s $ 1 billion of foreclosed commercial real estate and projects. As an asset manager at virtually every company where he has been employed, he was responsible for the credit, investment, interest-rate, and asset risk-management of real estate and mortgages investment portfolios. 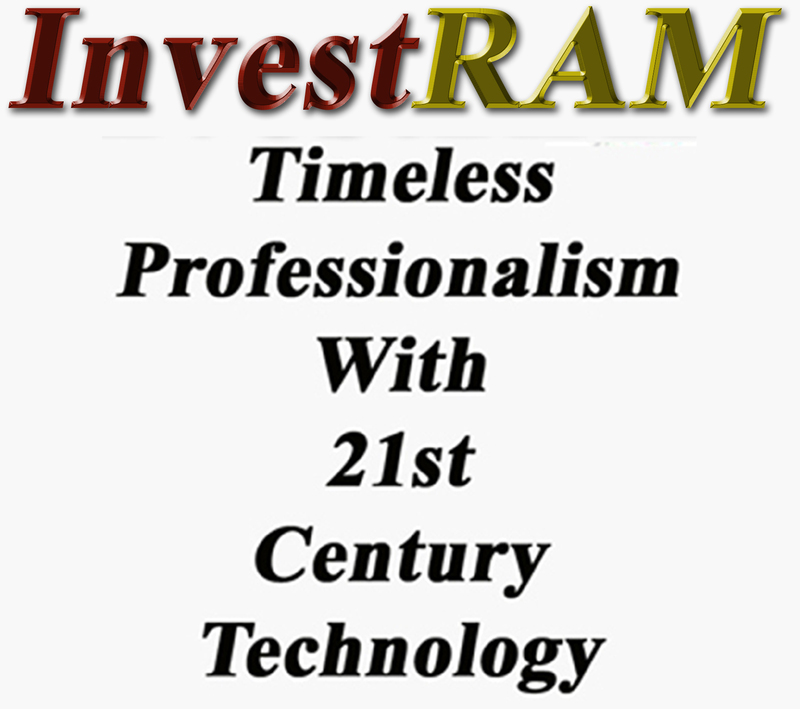 His consulting clients at InvestRAM have included real estate investment trusts, real estate developers, banks, savings banks, public entities, insurance companies, and pension funds. He has played roles in establishing and running property management, mortgage servicing, and investment portfolio functions, and in the utilization of software packages and on-line Web sites for asset/liability and investment management. Mr. Struck earned a BA in Economics from Midwestern State University, Wichita Falls, TX, where he also taught economics as a graduate teaching assistant. He served as a member of the Advisory Board for Mortgage Lending in the Banking & Finance Department of California State University – Fullerton for five years, where he has also taught classes in loan originations & appraisals, loan closing, servicing & administration, secondary mortgage marketing, mortgage-backed securities, and mortgage risk hedging.